The Alaris is a tilting train (tilts at upto 8 degrees) that runs at 200Km/hr(124mph) on standard rail track. Facilities include Cafeteria Telephone Music channel, Video entertainment, baby room, facilities for the disabled, while Preferencia (first class) passengers also receive the benefit of VIP Lounge at the station, a meal on board, newspaper/magazine and a welcome drink. 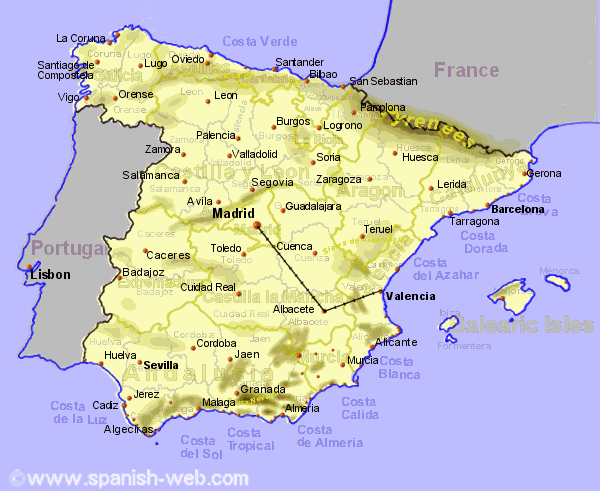 The route runs from Madrid to Valencia via Albacete, some trains also stopping at Xativa, and or going on to Castellon to the north or Gandia to the south. It is necessary to book these trains in advance.